Spread the chopped lettuce on a large platter. 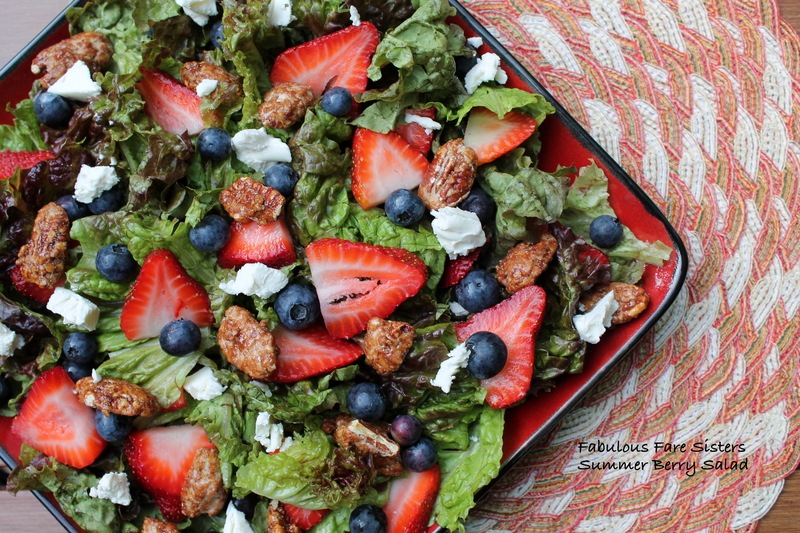 Distribute the strawberries, blueberries, toffee pecans & goat cheese crumbles on top of the lettuce. Make the Vanilla Bean Vinaigrette. Combine vinaigrette ingredients in a jar with a lid. Put the lid on and shake vigorously. Drizzle on salad before serving. Serves 4. 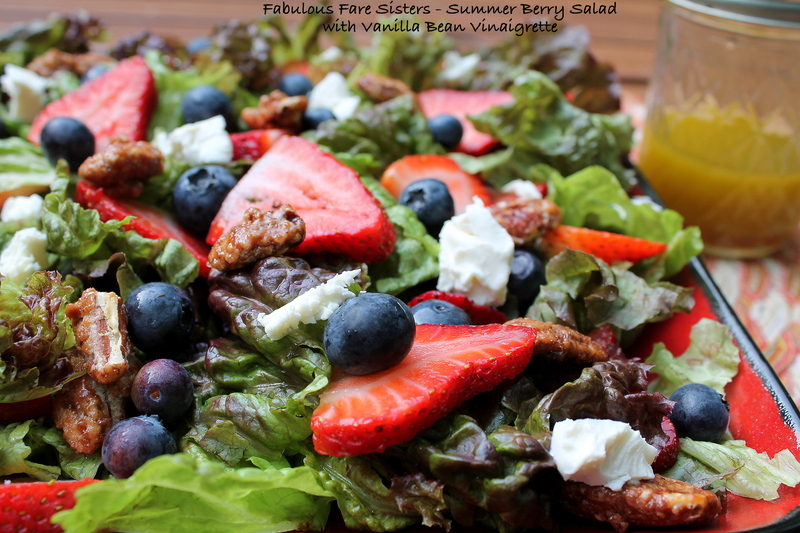 Heidi makes a fabulous Baby Beet Greens, Spinach & Strawberry Salad – so use up those strawberries! Really colourful and looks delicious. I am eating some with my cyber spoon. all and such delicious ones are most welcome in such summers !! So refreshing for these hot summer days!